We often hold various productions in the Library Room at the Struthers Library Theatre. 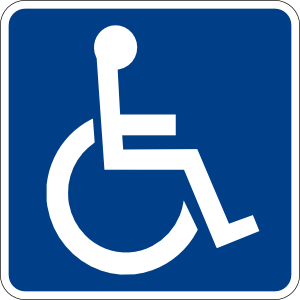 Access for persons using assistive mobility devices to this room is via the elevator and the chair lift from the mezzanine into the Library Room, so all our productions are now handicap accessible. We are very excited about these improvements made to the facilities by the Struthers Library Theatre. All main stage productions are wheelchair and handicapped accessible with specially designed seating in the rear of the Struthers Library Theatre's orchestra section. Handicapped restrooms are located behind the “Friends Room” of the theatre. The box office personnel and ushers can direct you to the appropriate location. Assistive listening devices for the main stage performances are available at the box office. It is recommended that you call to reserve one for your preferred performance.